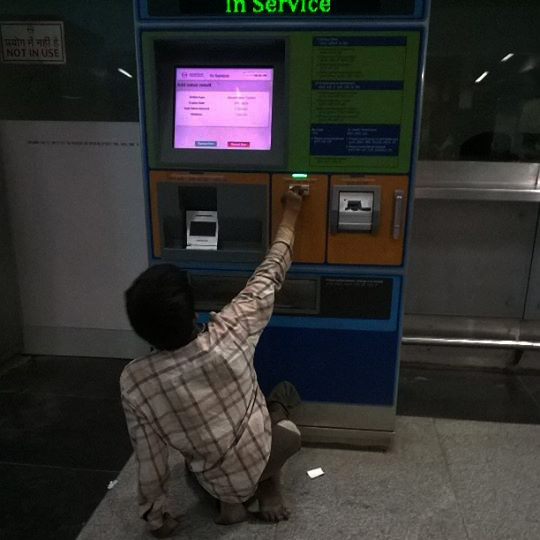 DMRC staff on duty at the counter, had no solutions. “What can we do if he is disabled,” was a reply thrown by one of them. This is where my camera came to the rescue. As I lifted it out of the case, the staff members’ demeanor drastically changed. Out came a Rs 100 currency note in exchange of two 50 rupees notes for Sandesh . Along it were please directed towards me: “I am a daily-waged worker.., they will take my job it this goes out,” said the staffer. The guard came with an excuse that he was rushing out for dinner.